MAC3 has developed a range of portable compressors recognized for its performance and ergonomics. The French company also wanted to offer fully customizable compressors, to meet all the needs of its users. 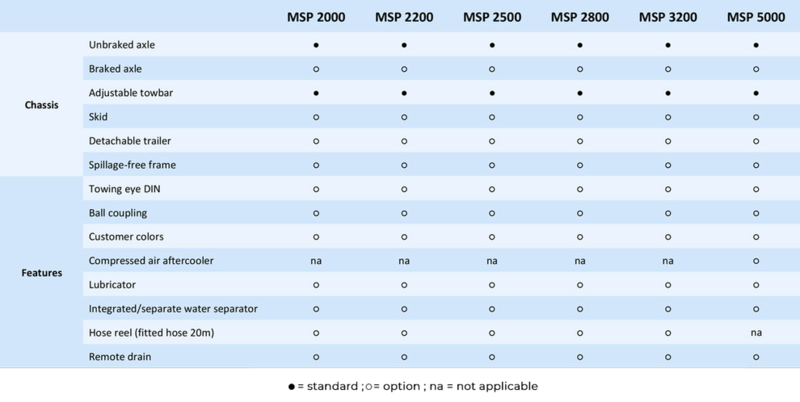 From the aesthetics to the different configurations, MAC3 offers you a quick tour of the options of its range of MSP portable compressors. MAC3 portable compressors are primarily aesthetically customizable. With a color palette including all existing RAL, as well as the possibility to create specific colors on demand, MAC3 offers you the opportunity to acquire a portable compressor in the colors of your company.